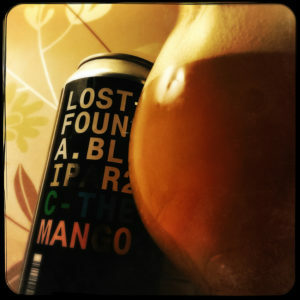 An IPA brewed with Citra, Mosaic and El Dorado as well as fresh mango, Lost & Found are currently doing all the right things. This cloudy peach coloured beer smells of lime leaves and mango, sitting thick and sumptuous in my glass with its little creamy head popping and fizzing with life. The malting is a gentle brioche and ice cream cone, honey and caramel delight and the hops are sharp and fresh, all lime zest and papaya, lemon rind, satsuma and a lick of piney resin, while the mango makes the beer feel thick and fleshy, fresh and fruity and lovely. Oh, and the can looks amazing as well. 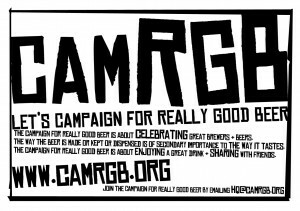 This entry was posted in Beer Review, CAMRGB and tagged Beer, Beer Review, CAMRGB, Can, Canned beer, Drinking, Fruit, Fruit beer, IPA, Mango, Pale Ale. Bookmark the permalink.